We said we would tell you more about our Inka trail. So the next 5 posts will all be about our big trek to Machupicchu. This post was written by Marc. The actual reason behind the strike is uncertain but in the event of a strike, roads will be blocked which could lead to delays or even traffic not being able to pass through. 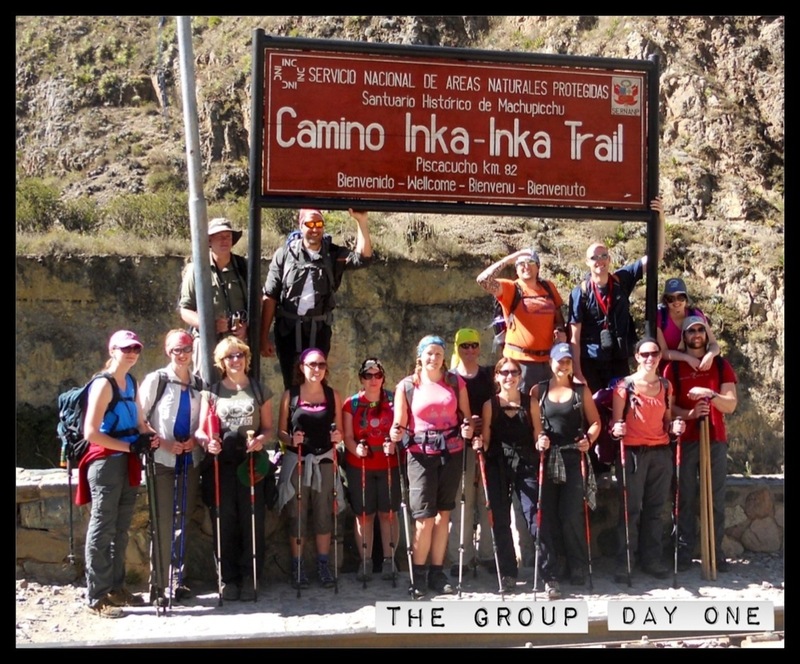 Some of the people in our group told us that they had met with others also due for the Inka trail to start on the same day. However some of these people doing the trail with other companies were informed that their trail will be cancelled. The strike apparently lasted for 3 days starting on our original departure date. Our trail company, Llama Path, put a plan B in place which was to drive the night before and camp right outside the start of the rail. The start, or kilometer 82 as it is most commonly referred to, is the starting point of the classic Inka trail. It is a 3 hour drive from Cusco and we left at 10pm from cusco the night before the trail started. On arrival at the campsite, at 1am, we found our tents already erected. We rolled out our sleeping bags and went straight to bed. On the original departure date we would have had to wake up at 3am to get ready for the trail and depart from cusco. However we woke at 6am, at 82km, with a breakfast feast awaiting us. The extra camping night and 1st breakfast was an extra $10 as this was not part of the original package. Breakfast included a sweet oats like protein/carb drink (it was good), coffee, tea, milo, omelettes and pizza bread. It was amazing. But the most amazing thing was the view. We arrived earlier that morning in complete darkness, but that morning we awoke to a river 50m from us, high mountains all around us and some snow capped mountains as well. Some of our group members hired walking sticks from llama path, on the morning of the start of the trail we bought wooden sticks from locals selling them at the entrance to the trail. This option is much cheaper and the wooden sticks worked fine. The trail started with us having to produce our original passports and Inka trail tickets which llama path had in their possession. Day 1 consisted of a 16km hike divided into two parts, with lunch being the divider. Our group consisted of 16 hikers, 2 tour guides and 22 porters, WOW! Each porter is restricted by law to carry a maximum of 25kg on their back. 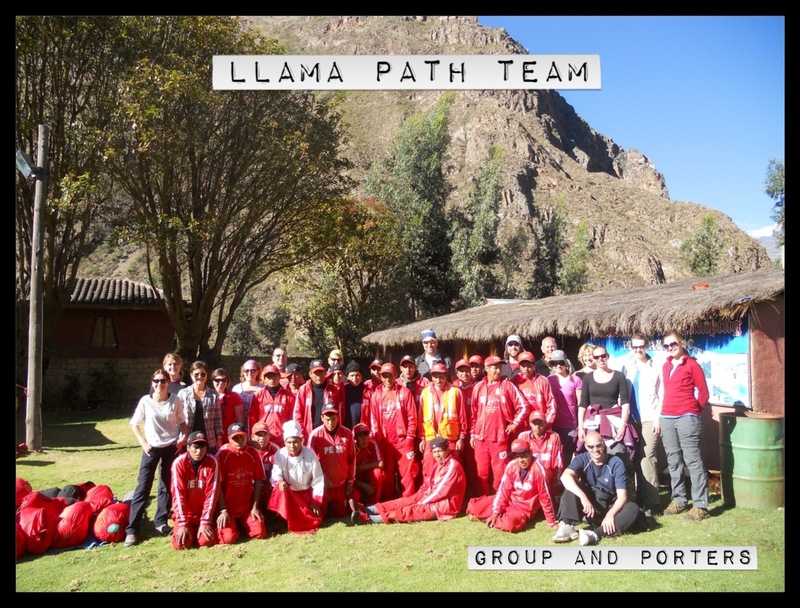 Because llama path staff wears red clothing their porters are well known for being the Red Army. Apparently in the 80s and 90s porters were treated really badly, walked bear foot or with sandals, and carried anything between 60 to 80kg. Porters are generally a specific race or people, descendants of Inka time people. You can actually see this in their short height, facial features and particular build. These porters carry everything, I mean everything. From all the tents to chairs, kazibos, dinning room tables, cooking equipment, LP gas cylinders, food, the works. Everything that we need or even want on the trip is carried by the Red Army, everything. Before we leave in the mornings a snack pack is given to us which we all usually have between breakfast and lunch usually at a predetermined resting point. Day 1 hiking was a nice leisure walk, which consisted of us visiting a smallish Inka site called Llactapata. Before reaching this site we stopped at one of only a handful of local villages on the trail. These villages sell basics like cool drinks, snacks and ChiCha. ChiCha is the name for the local brew usually consisting of corn (peru has many types of corn), strawberries (some times) and other ingredients to add to the flavor and aid in fermentation which can also include banana leaves. The ChiCha we tried was made with corn, strawberries, banana leaves and other ingredients. The brew was 1day old and was said to have an alcohol content of about 2.5% at this time. Because of the strawberries the ChiCha had a pink color to it and was slightly sweet, it was an interesting flavor, but enjoyable. Apparently after 2-3 days this brew will reach an alcohol content of anything between 4-6% and any time after this it becomes more of a spirit. It is also said that this beer ferments more when it reacts with saliva and causes delayed tipsyness when drinking it. After a few hours after the site and the ChiCha we stopped for an amazing lunch. Lunch consisted of a 2 course meal with soup as the starter and a variety of dishes for the mains and tea to help digest the food. Before every meal there are water bowls and soap ready for each hiker on arrival to wash their hands. Porters also supply us with cooled boiled water at every meal to refill our water bottles. We finished lunch and started heading off with the red army busy packing up our lunch stop area. A little while on the red army comes trotting past ready to set up camp for the night at our next camp site. On arrival at the camp site the entire campsite is already set up and ready, with supper busy being cooked. At the evening camp sites we are welcomed by the red army always clapping on each persons arrival. There is also a bowl of hot water with cloths for you to wipe yourself down with. Before supper there is a period called happy hour which consists of popcorn, crackers, tea, coffee and milo. This is then followed by an amazing 3 course supper consisting of soup, a variety of dishes for main course and dessert, and finished off with tea. Llama path is one of the trail companies that uses an alternative schedule to most companies for lunch sites and camping sites, this is nice because you tend to eat and sleep in not too crowded areas. Every day a total of 500 people are allowed in the Inka trail. This consists of roughly 200 hikers and 300 porters and guides. Almost at all times during the day a snow capped mountain is visible in the distance. That evening was crystal clear and the Milky Way was clear as day in between the mountains where our campsite was. We retired to our tents that night after 16km of moderate hiking and were anxious for the following day which is considered to be the toughest day on the trail. 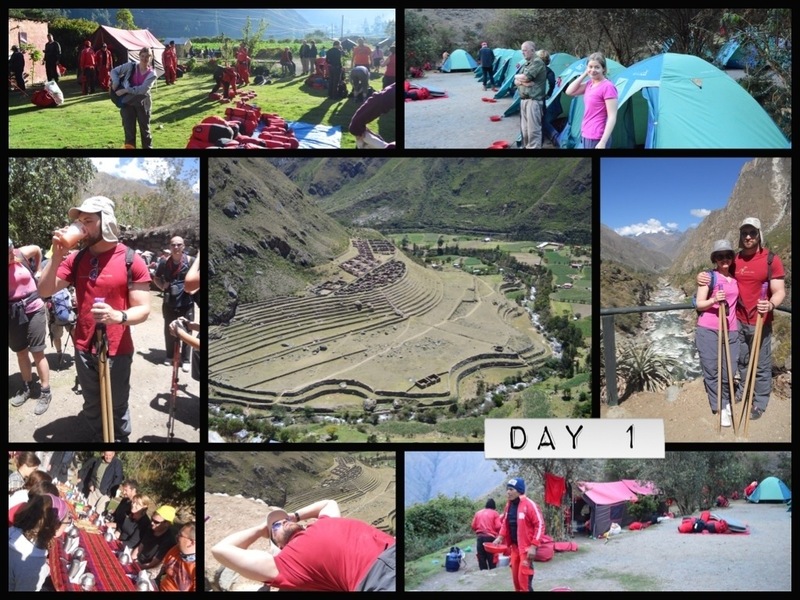 This entry was posted in Peru, South America and tagged Inca trail, Inka trail with Llama Path day 1, Llama Path. Bookmark the permalink.